In 1918, Parliament passed an act granting the vote to a small proportion of women in the UK. Women had to be over the age of 30 who were householders, the wives of householders, occupiers of property with an annual rent of £5 and graduates of British universities. On the whole, this was about 8.4 million women who gained the vote. In November 1918, the Parliament (Qualification of Women) Act was passed, this allowed women to be elected into the House of Commons. With this passing of the act granting the vote, over 80 women from across Renhold village received the vote. 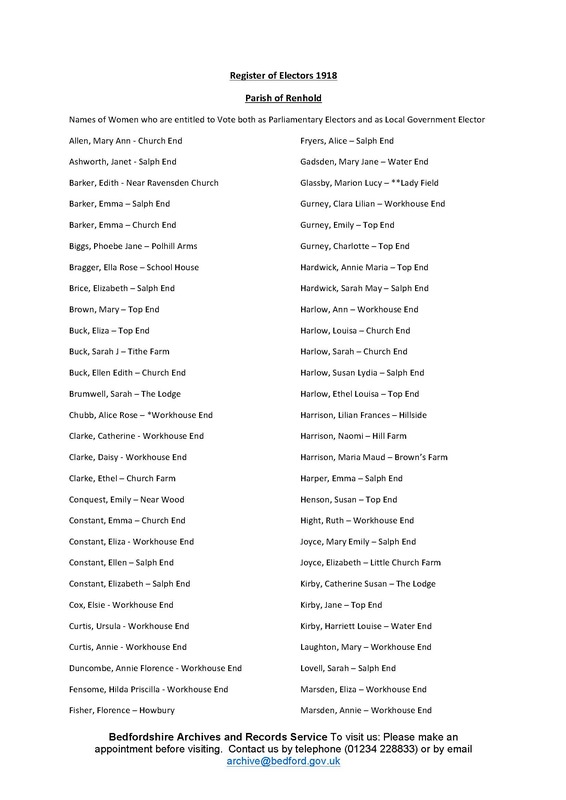 Thanks to a resident of Renhold sending us the information, we are able to share this list. You can see it here. 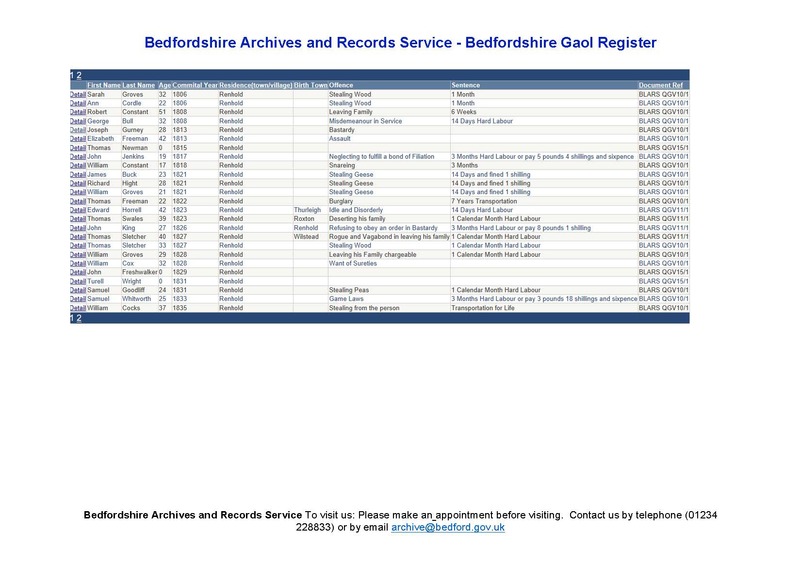 Further information we have received with regards to the history of the village, we were sent a copy of the Bedfordshire Gaol Register, showing residents of Renhold. You can see this here. You can find information from the 2011 Renhold Census here. 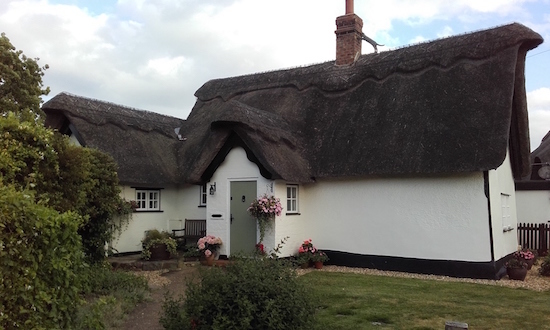 You can find further information about the history of the village at the Colmworth and Neighbours History Society site. 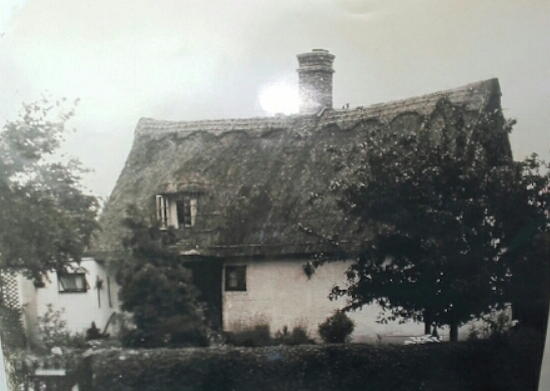 This thatched cottage from Woodfield Lane was at one point the Village Post Office.